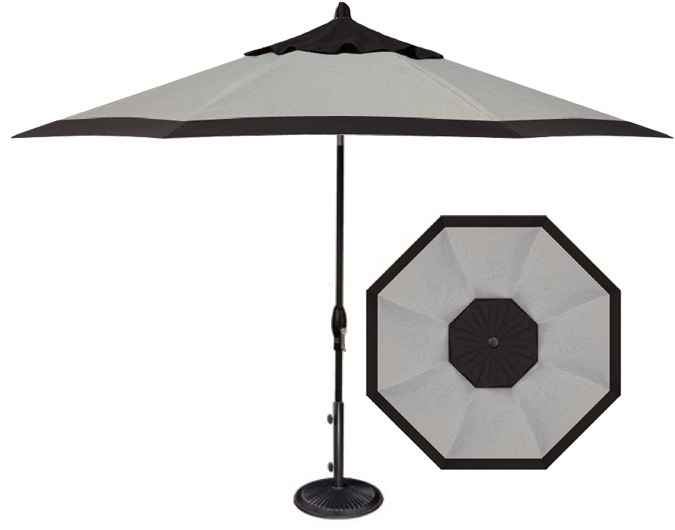 Designer 9 foot silver grey and black octagonal patio umbrella. 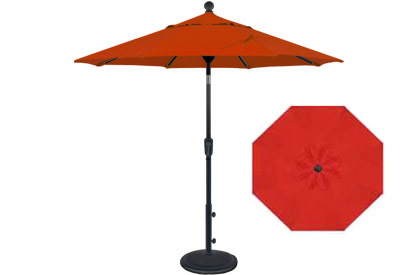 This model of garden umbrella style parasol from Treasure Garden features an easy-to-use auto-tilt articulation and manual crank type mechanism that needs minimal effort to tilt, open and close. 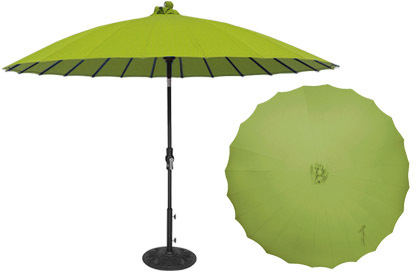 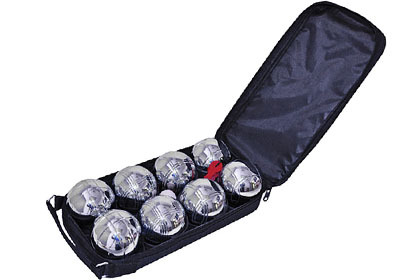 It has a classic, durable aluminum frame. 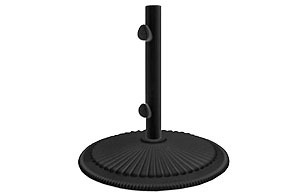 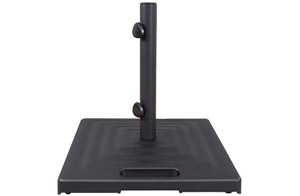 Weighted base sold separately. 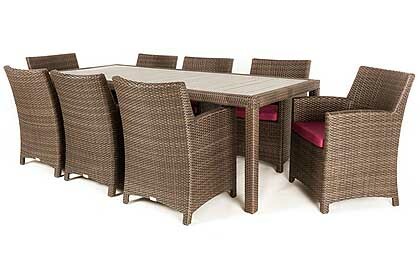 Two (2) year warranty on the frame structure and four (4) years against the discoloration of the Treasure Garden O'Bravia ® fabric. 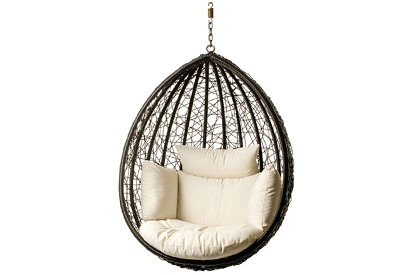 Canadian winters are long and hard, and the time we have to enjoy our outdoor living areas is quite limited. 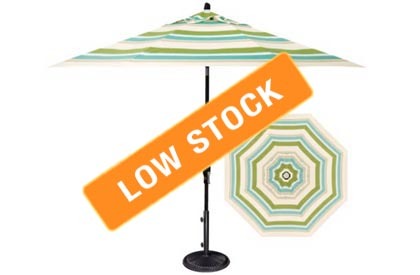 This year, step-up your open-air living… This quality parasol will provide the functional element to unify and embellish the visual impact of your outdoor living space and also allow you to guide the light and shade to your liking. 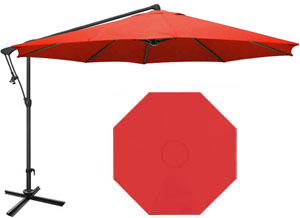 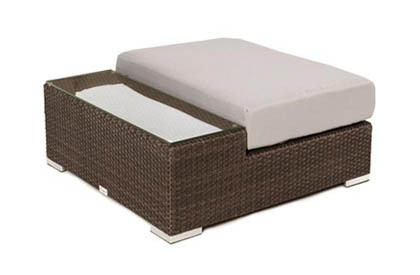 Whether it be for your deck patio dining area, your garden lounge chair section or your pool-side relaxation nook, this superior quality, lightweight design parasol will provide years of enjoyment.